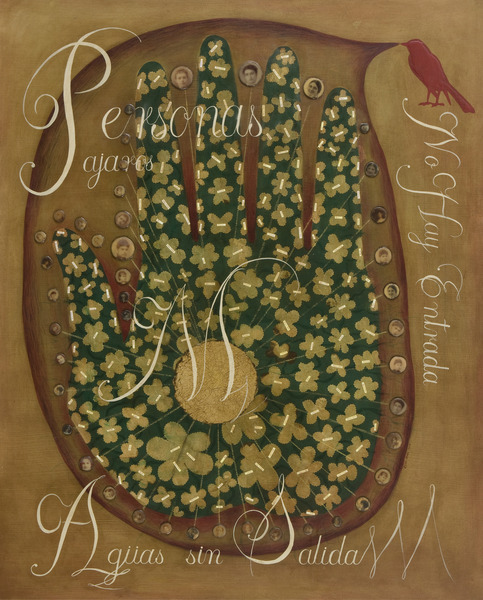 Elsa Mora graduated from the Vocational School of Arts (1986), the Professional School of Visual Arts (1988), both in Holguín; and the Professional School of Visual Arts in Camagüey (1990). She won the UNESCO scholarship granted by the Fondo Nacional para la Cultura y las Artes de Mexico in 2000, and was a recipient of a visiting artist award at The School of The Art Institute of Chicago in 1996. 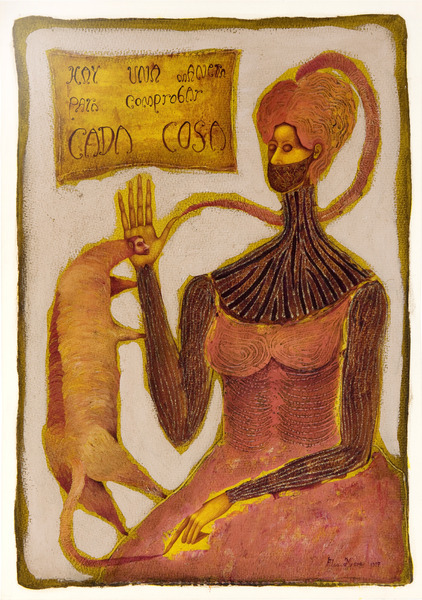 Her solo exhibitions include Diario (Diary) at the Rubén Martínez Villena Gallery in Havana, 2003; Proceso de adaptación (Adaptation Process) at Bourbon Lally Gallery in Montreal, Canada, 2002; Vulnerable at Phyllis Kind Gallery in New York, 2001; Impermanente (Impermanent) at the Recoleta Cultural Center in Buenos Aires, Afgentina, 2000; Ejercicios de silencio (Exercises in Silence) at Carmen Montilla Gallery in Havana, 2000; Reencuentros (Re-encounters) at the Wifredo Lam Center for Contemporary Art in Havana, 1999; La segunda piel (The Second Skin) at La Acacia Gallery in Havana, 1997; and Retrato de mariposa (Portrait of a Butterfly) at the Center for the Development of Visual Arts in Havana, 1995. 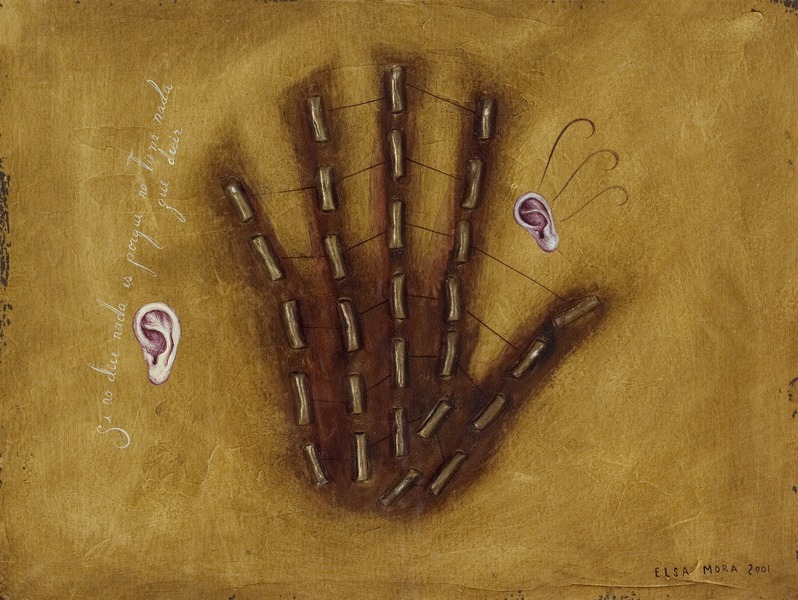 Todo miedo tiene que ver con la impermanencia (All Fears Have to Do With Impermanence), 2001. Oil, found object and paper collage on canvas. 48 x 24 in. 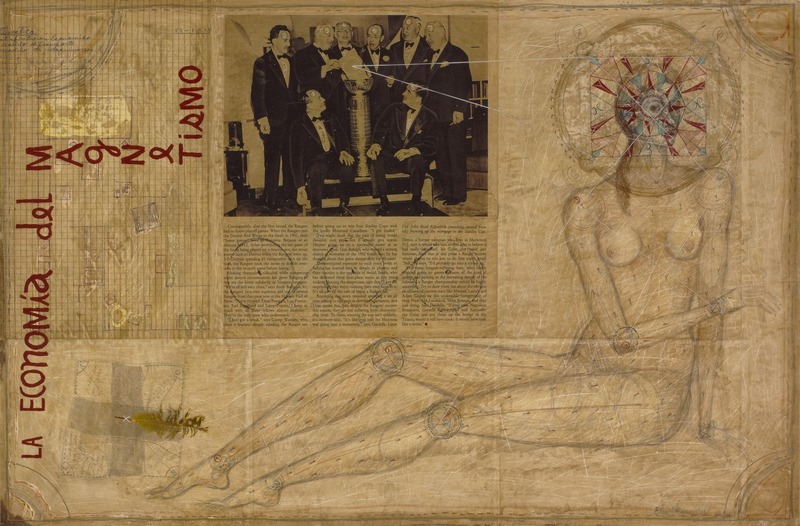 Dos cosas extraordinarias (Two Extraordinary Things), 2002. Oil, paper and cardboard collage on canvas. 36 x 24 in. 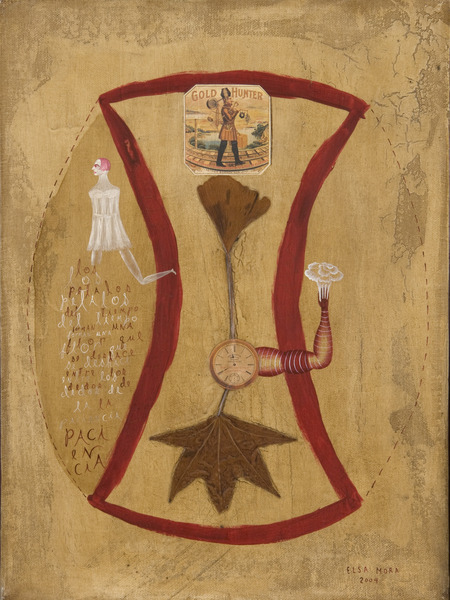 Mirar al vacío (Staring Off Into Space), 2002. Oil, leaves, thread and cut-and-pasted printed paper on handmade paper. 17 1/2 x 23 in. La economía del magnetismo (The Economy of Magnetism), 1998. 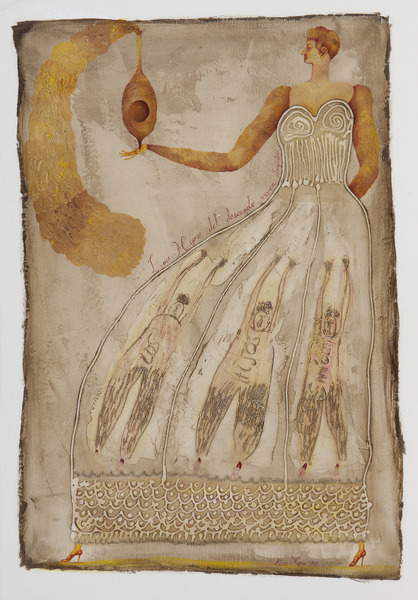 Oil, pencil, pen, colored pencil, enamel, fabric, feather, thread and cut-and-pasted printed paper on paper. 20 x 28 1/2 in. 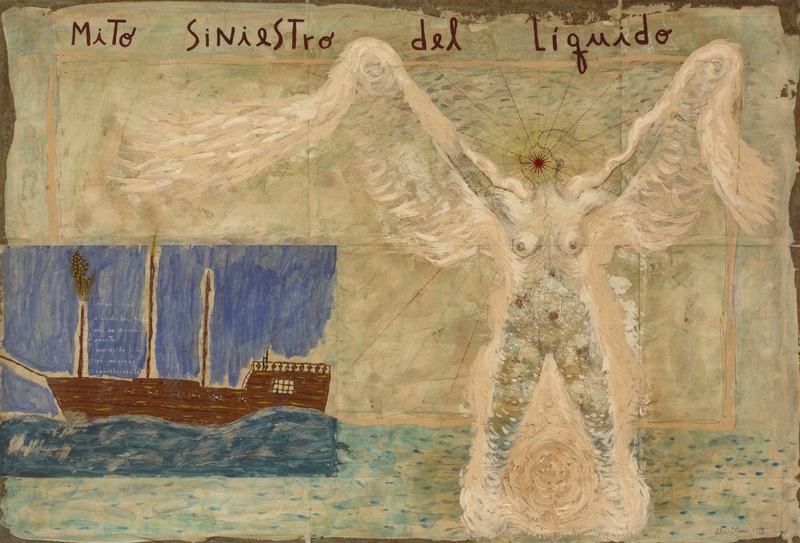 Mito siniestro del líquido (Sinister Myth of the Liquid), 1998. Acrylic, watercolor, glitter, feather and paper collage on paper. 20 x 29 in. Untitled, 2001. Mixed media on handmade paper. 12 1/2 x 15 1/2 in. 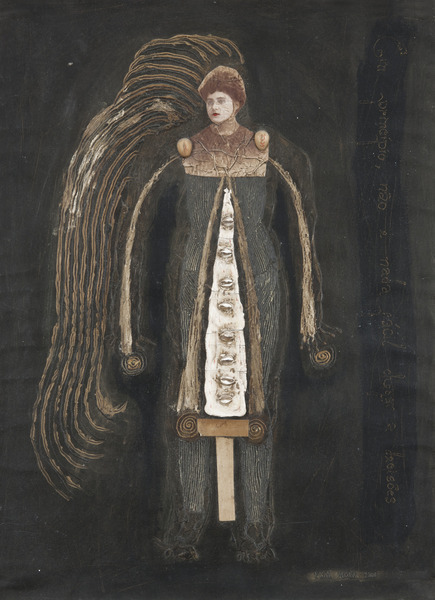 Tres misterios de la figura humana (Three Mysteries of the Human Figure), 1998. Oil, colored pencil and paper collage on handmade paper. 28 x 19 in. Río (River), 2005. Oil, found objects and cut-and-pasted printed paper on canvas. 59 x 47 1/2 in. 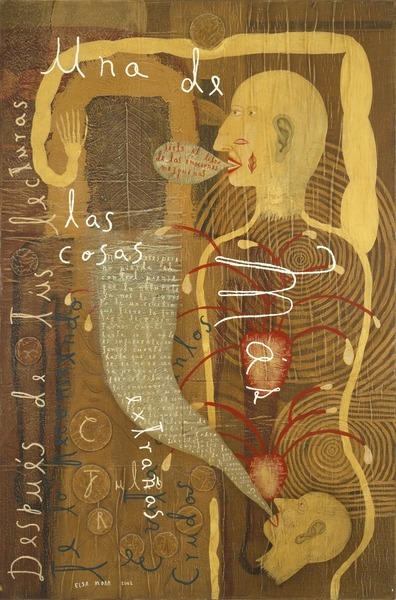 Buscador de tiempo (Time Searcher), 2004. Acrylic, leaves and cut-and-pasted printed paper on canvas. 16 1/4 x 12 1/4 in. 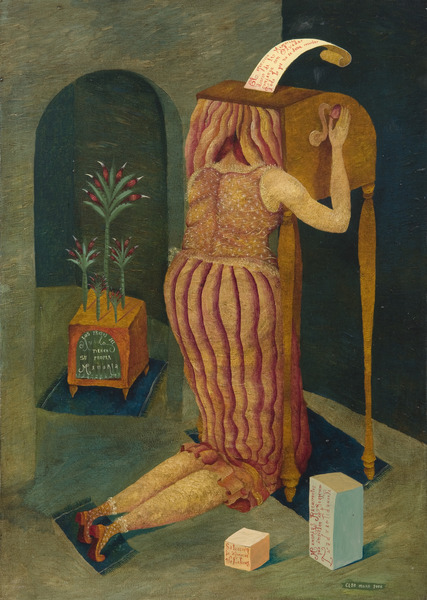 La cabeza mágica (The Magic Head), 2006. Acrylic on canvas. 19 1/2 x 14 in. ¿De dónde vienes? ¿A dónde vas? (Where Do You Come From? Where Are You Going? ), 1997. Acrylic and glitter on paper. 19 3/4 x 14 1/4 in. Estar seguros (To Be Sure), 1997. Acrylic and glitter on paper. 19 5/8 x 14 3/16 in. 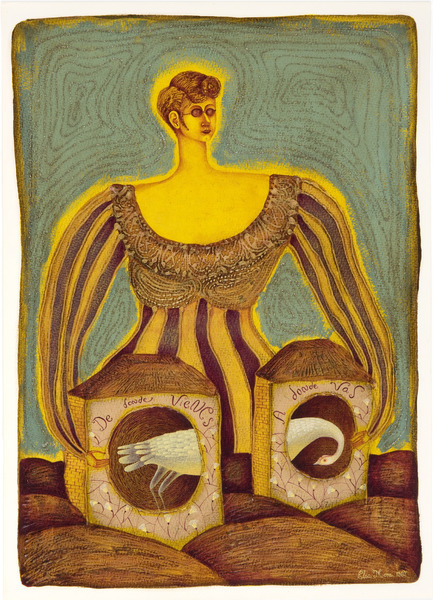 ELSA MORA Los hijos míos (My Children), 1997. Acrylic on paper. 19 x 14 in. 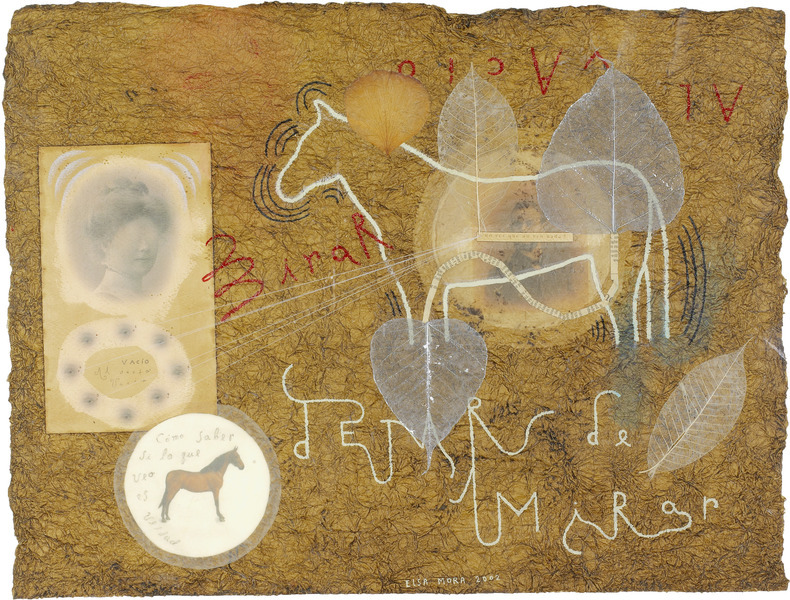 Era princípio, não e nada fácil chegar a decisões (At the Beginning, It's Not Easy at All to Make Decisions), 2000 .Oil, cut-and-pasted printed paper, adhesive tape and shells on canvas. 27 x 19 in.